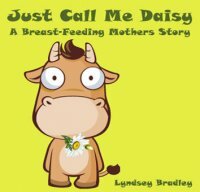 Just Call Me Daisy is an online project, to collect breastfeeding stories from mothers, and collate them into a book. Breastfeeding always gets the misery stories and the grief stories and the “how dare you make me feel bad for choosing formula” screams. It’s very rare that Mums are allowed to just have fun and celebrate their own worked-hard-and-made-it voice, and this project is designed to do just that. Details and submissions here.